Bedrock delights. These gorgeous bedrock formations are located in the Syrtis Major region, which is a low-relief shield volcano. 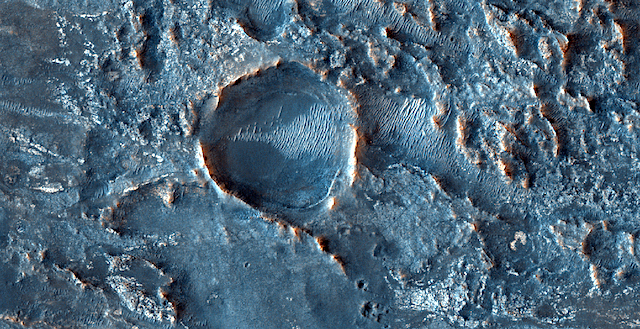 This entry was posted in Reports and tagged bedrock, High Resolution Imaging Science Experiment, HiPOD, HiRISE, HiRISE Picture of the Day, Mars Reconnaissance Orbiter, MRO, NASA, Syrtis Major, University of Arizona, volcanics. Bookmark the permalink.